This gorgeous 9.5" Ceramic Copper Coated Fry Pan has the finest details and highest quality you will find anywhere! 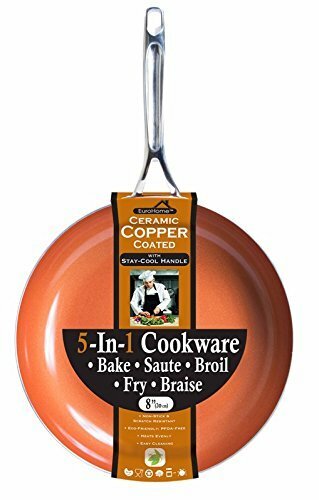 9.5" Ceramic Copper Coated Fry Pan is truly remarkable. Product Details: • Condition: Brand New • Item SKU: SS-DK-8324 • Dimensions: H: 21 x W: 12.75 x D: 5.75 (Inches). If you have any questions about this product by Euro-Home, contact us by completing and submitting the form below. If you are looking for a specif part number, please include it with your message.